Dogs thrive off of habit and routine. If you are moving into an apartment from a house, sometimes the change of routine and scenery can be overwhelming to your dog. You want to try your best to prepare your dog for this drastic change. It’s possible your dog may have had a doggie door and access to the yard whenever he pleased. At the apartment, your dog will need to be walked and therefore put on a feeding and walking schedule(if he doesn’t have one). If that’s the case, try to get your dog on the apartment schedule weeks before your move and limit his access to the back yard. Once you’re in the apartment, stick to your regimen, and you shouldn’t be left any surprises by the door. Sometimes a new place can warrant an accident or two, but stick to the schedule and that shouldn’t happen after the first few weeks. Maybe in your house, the dog would only bark when people like the Amazon man or Mail woman came to the door. 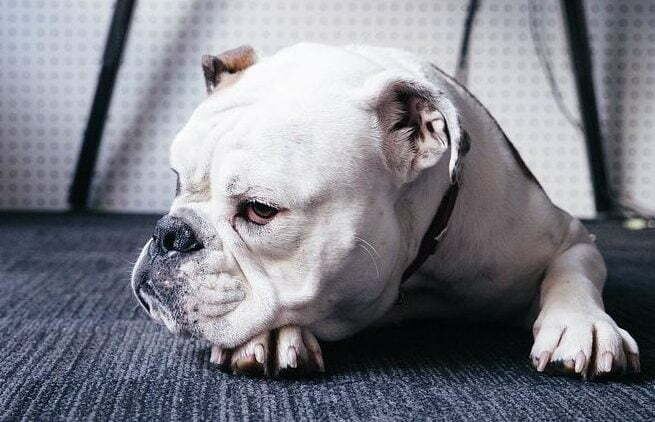 In an apartment, its likely that your dog will hear way more people moving around and start barking a lot more than before. In this case, I’d recommend two things. 1. Teach your dog a QUIET command. 2. Give your dog some time to adjust to the new sounds and smells. After a while he will recognize your neighbors habits, smell, cadence, and the barking will subside. If you’ve properly socialized your dog, and he tends to ignore other dogs then doggie neighbors may not be a problem. However, if your dog hasn’t interacted with too many other dogs, or hasn’t had the best interactions then leaving the apartment could be the bane of you all’s existence. It’s rarely a good idea to let dogs meet in tight spaces like hallways or doorways. Give the neighbors space to get by you and your dog without incident. Opt for the stairs over the elevator, as once you’re in the elevator anyone can come in with their dog and you create the dogs meeting in tight spaces issue. Lastly, make sure you speak up for your dog. Your dog doesn’t have to be friends with new human or doggie neighbors. Don’t force the relationships if you’re dog isn’t into it. Let’s assume your apartment is not laid out like your house was. Your dog doesn’t know his way around. It all looks funny and smells even funnier. If you can, spend about two days home with your pup. If you leave the apartment, leave for short periods of time, or leave the dog in the crate. (Train Your Dog To Love The Crate.) More confined-time in the first few weeks will help the dog transition. If you encounter any major behavioral issues, get in contact with a reputable trainer. Lastly, get out! Let your dog be the reason you get out and explore your new neighborhood. Take in the new sights and smells. Find your closest parks and hiking trails. If you’re in Los Angeles and looking for help with getting your dog settled into your new place. Give us a call or click the button to schedule an evaluation. Is Your Dog Ready To Go Off Leash?